How many times a day do Ethics show up in your daily work? How do you know if Ethics are playing a part in the decisions that you are making? Is it a gut feeling or something you were taught when growing up? Our personal code of ethics plays a significant role in the work we do. We are in the helping profession and we are faced with ethical dilemmas daily. 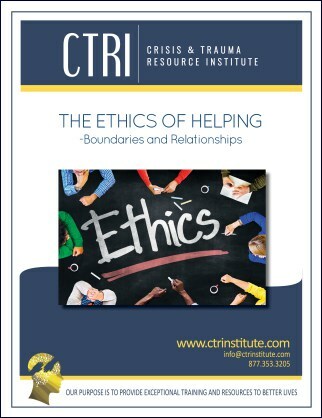 I recently attended ‘The Ethics of Helping: Boundaries and Relationships’ course taught by the Crisis and Trauma Resource Institute. I learned that my personal code that has been influenced by my family, my religious beliefs, the laws of our country, the culture I was brought up in, and my peer groups (both personal and professional) are directly related to how I make my daily ethical decisions. 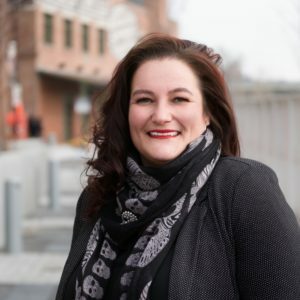 Working with marginalized populations we have to remember that our code of ethics may not be the same, or even similar to, the people we are serving. Taking time to ask questions and getting to know what that person’s ethics or values are will only be beneficial in the work that we do together. Prior to this course, I did not fully realize how much I use my personal experiences to guide my decisions on a daily basis. Knowledge is power; the more we learn about ourselves and the people we serve, the more our relationships will benefit.